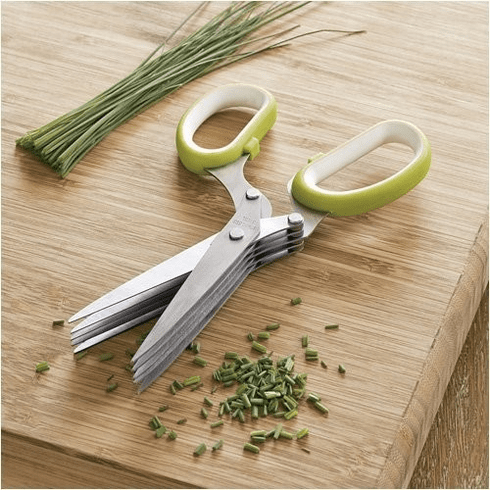 Five blades easily cut through any fresh herbs quickly. Also great for arts and crafts. Made of stainless steel.